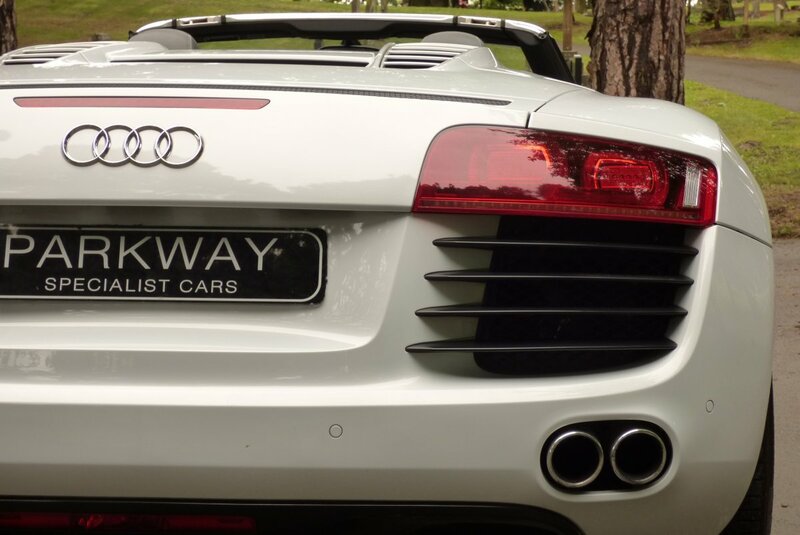 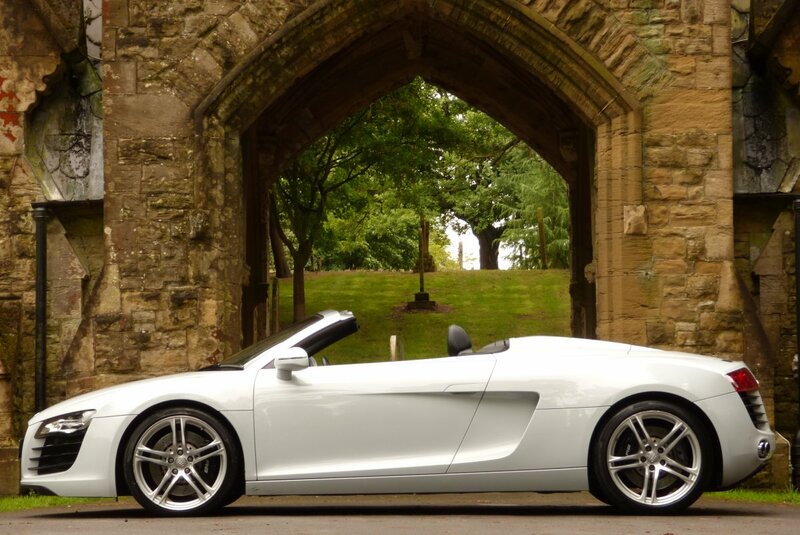 The Audi R8 Was Officially Launched At The Paris Auto Show On The 30th Of September 2006 With The Impressive Spyder Convertible Making Its First Appearance At The 2009 Frankfurt Motor Show, With The Production Of The 4.2 V8 Engine Convertible Starting In The Middle Of 2011. 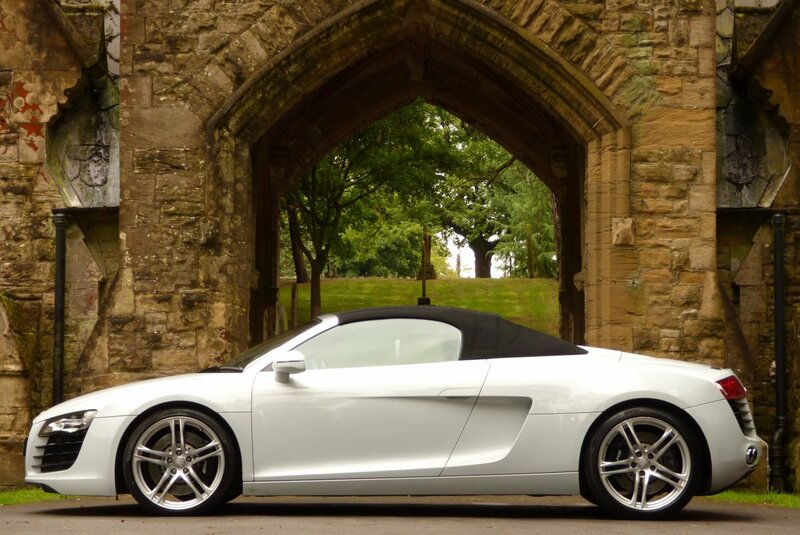 Compared With The Coupe Model, The Convertible Had Extra Chassis Support From The Aluminium Space Frame, A Pair Of Roll Over Safety Bars, The Re-Positioning Of The Aluminium Look R8 Embossed Fuel Cap Filler And The Removal Of The Side Blades. 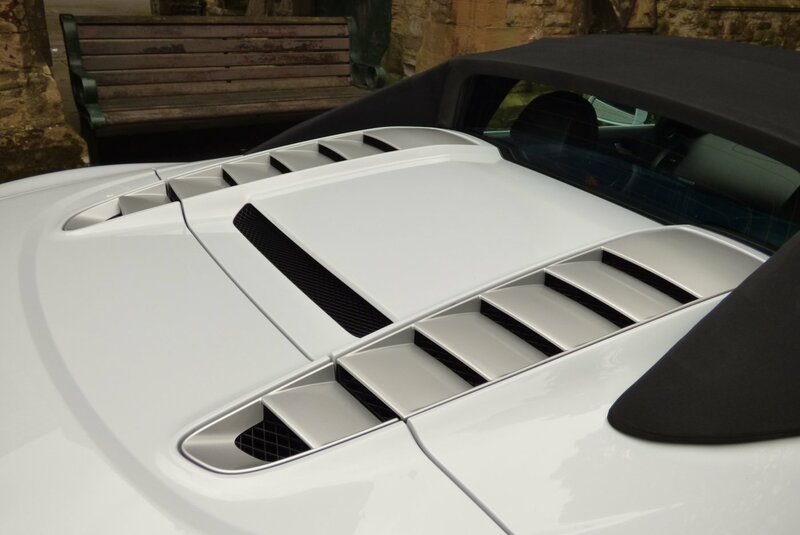 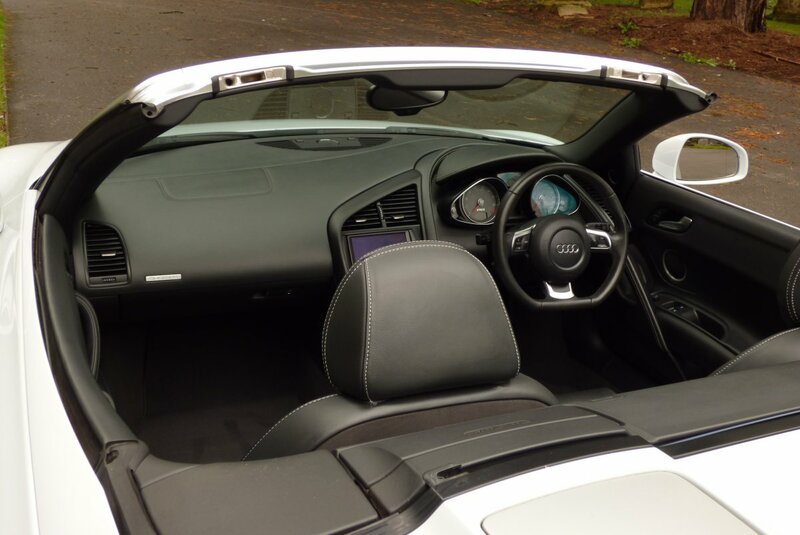 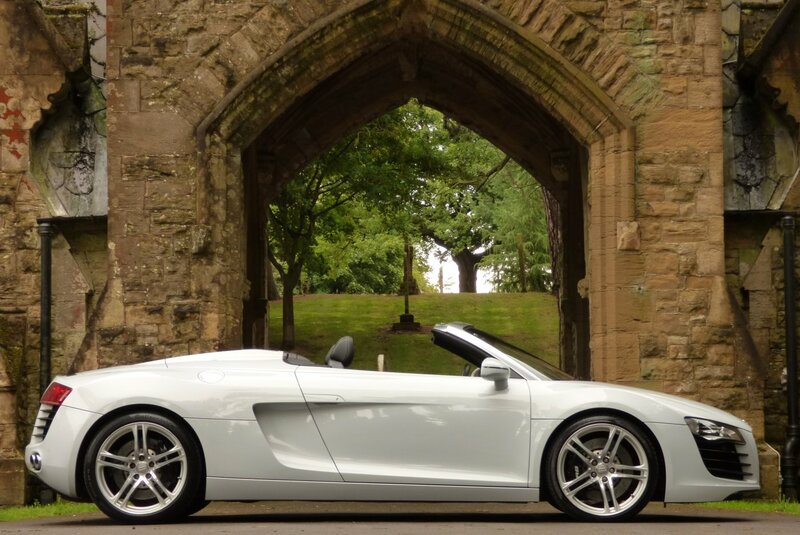 The Spyder 4.2 V8 Still Offered Buyers Perfect Power With The Engine Producing A Very Healthy 430 Brake Horse Power, Capable Of Taking You From 0-62 In 4.8 Seconds And An Eye Watering Top Speed Of 185 MPH, Which Was All Available With Or Without The Fabric Convertible Roof In Place. 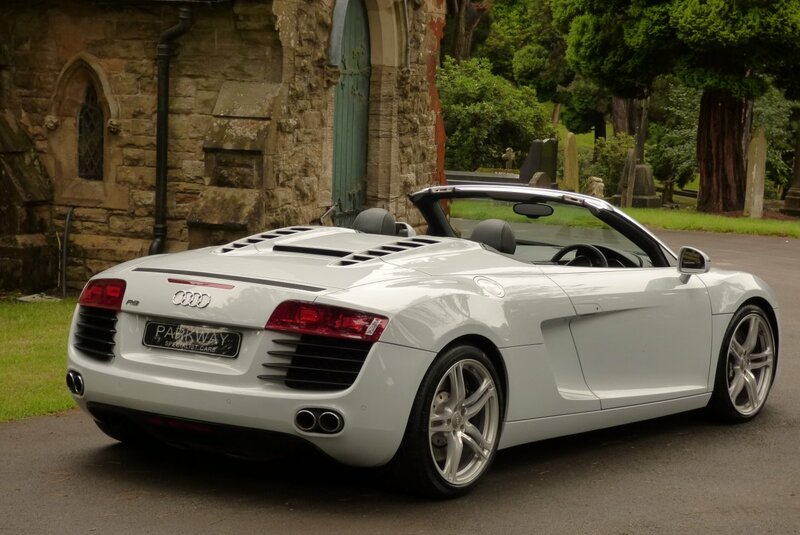 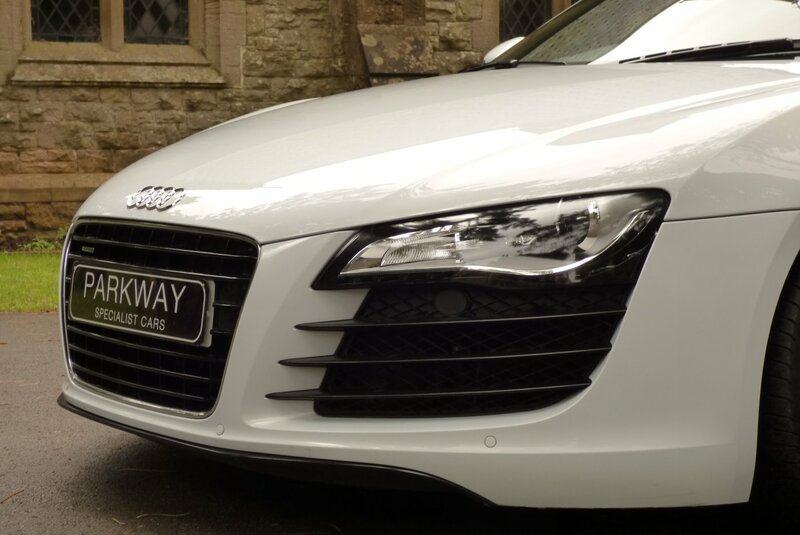 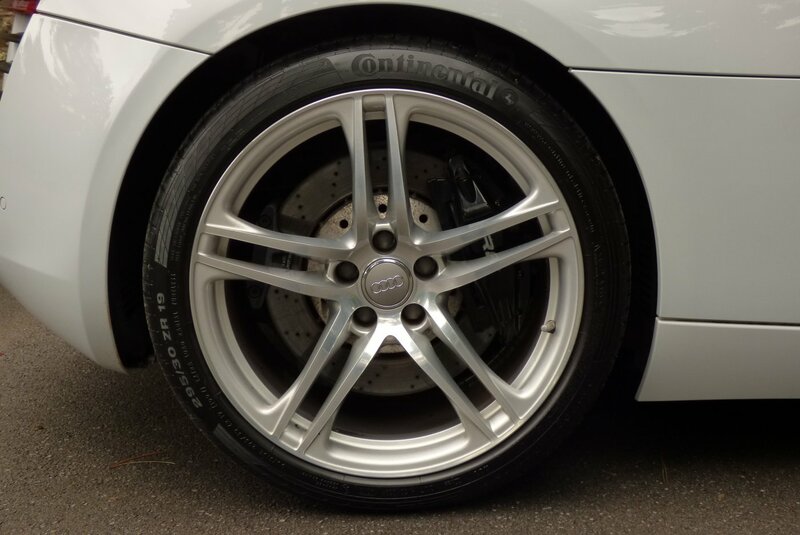 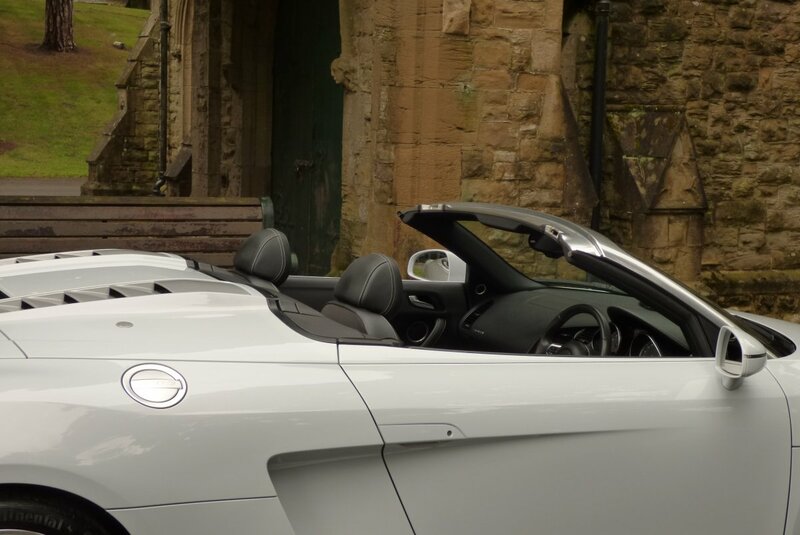 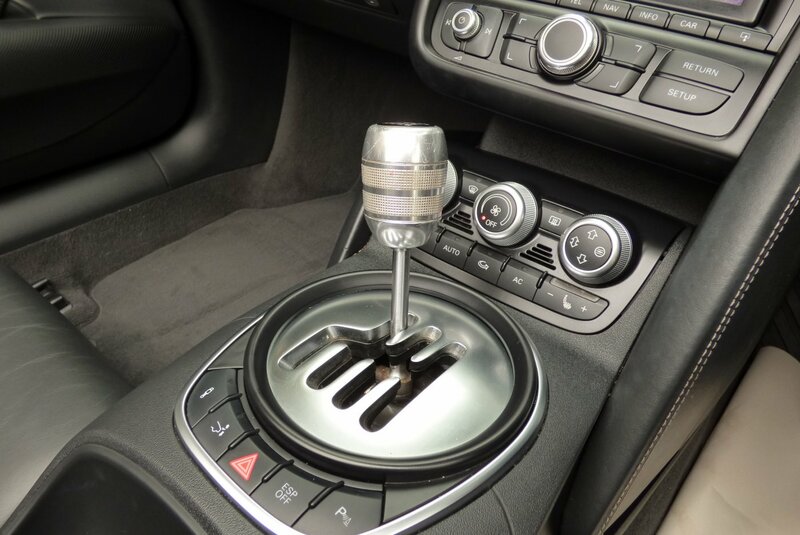 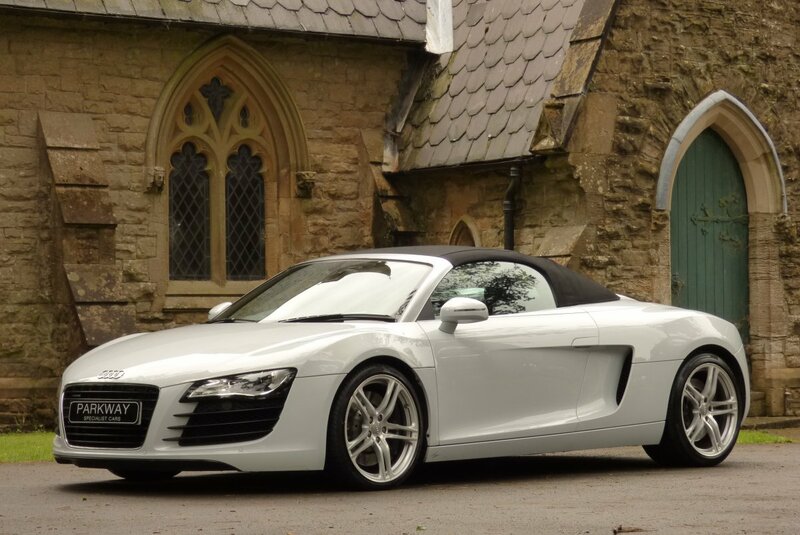 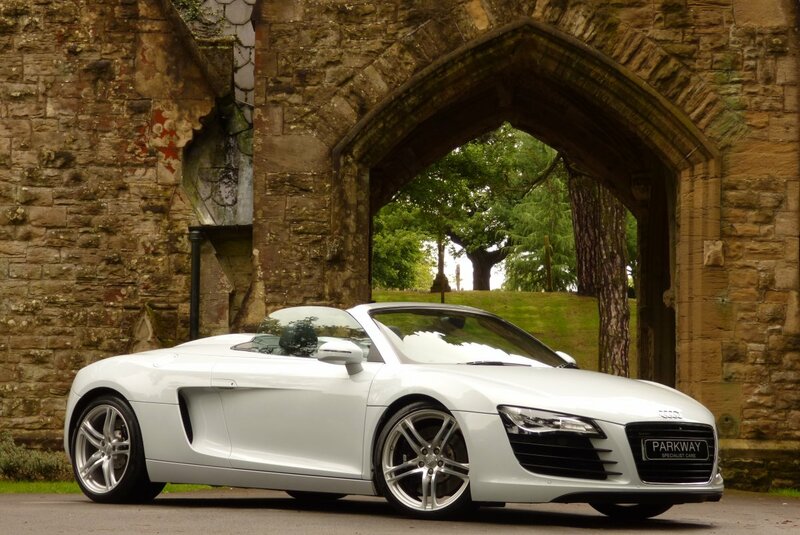 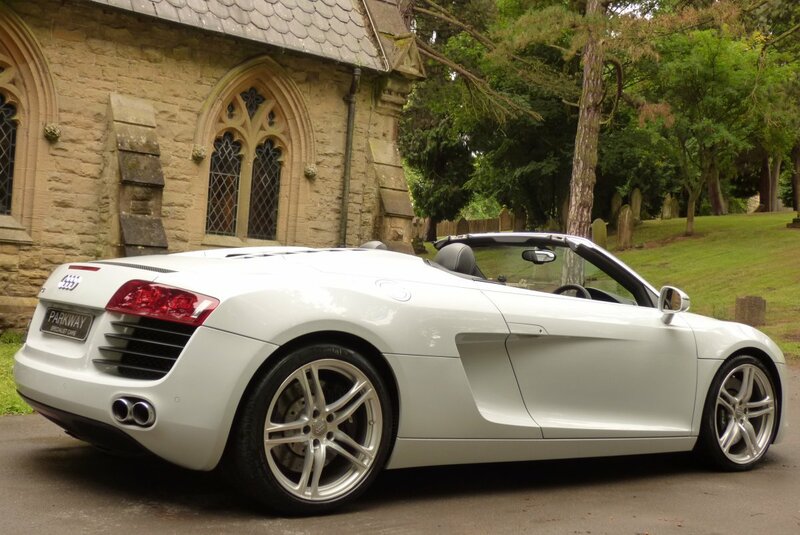 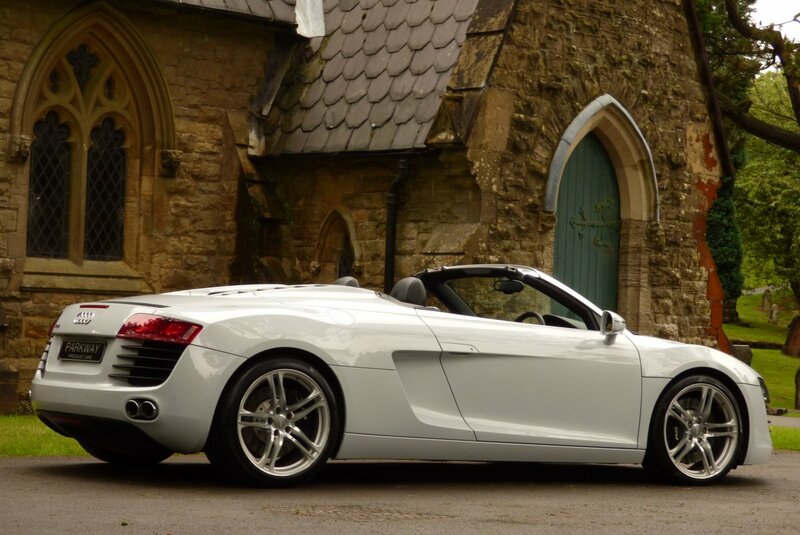 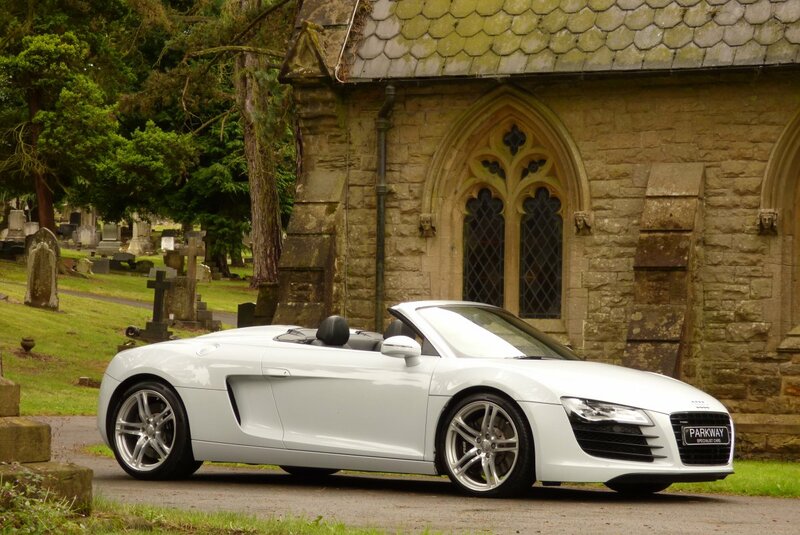 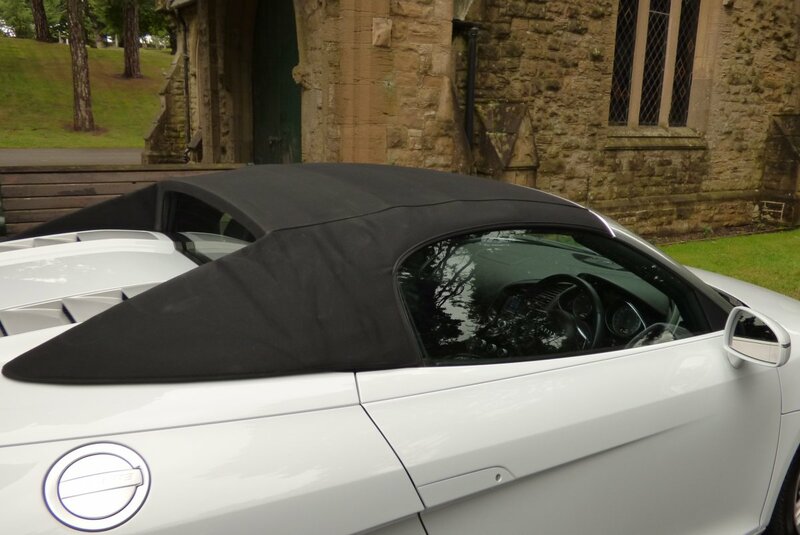 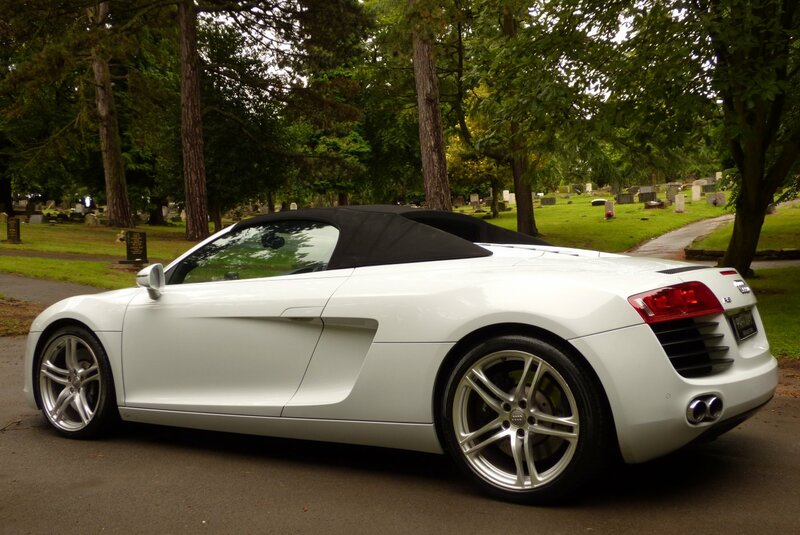 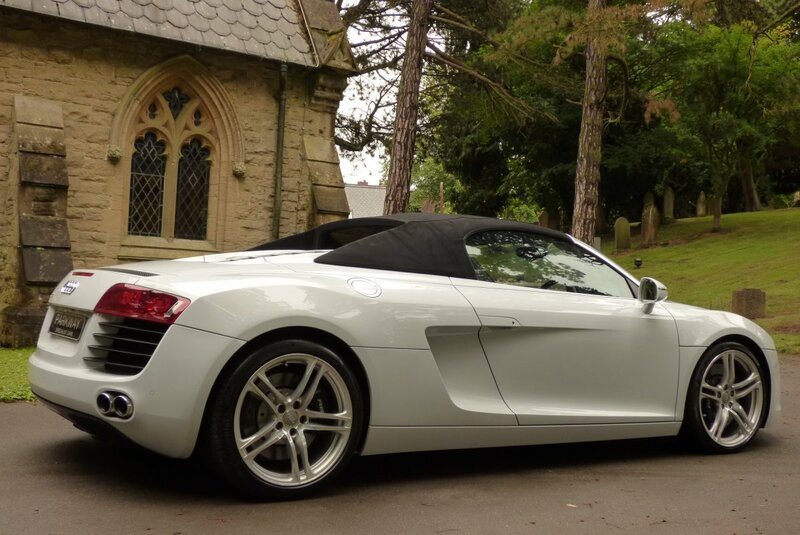 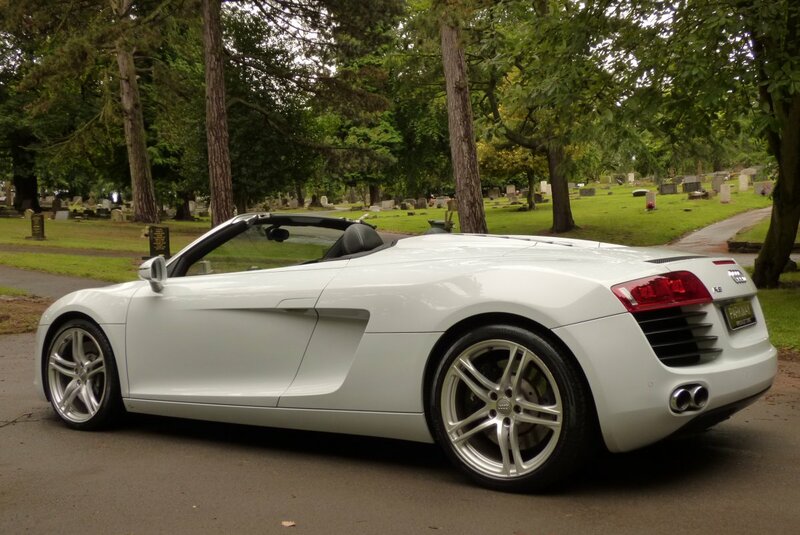 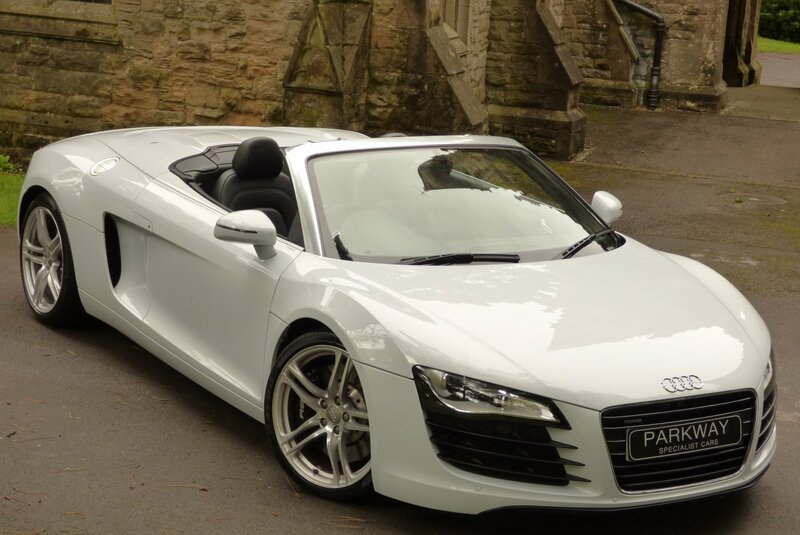 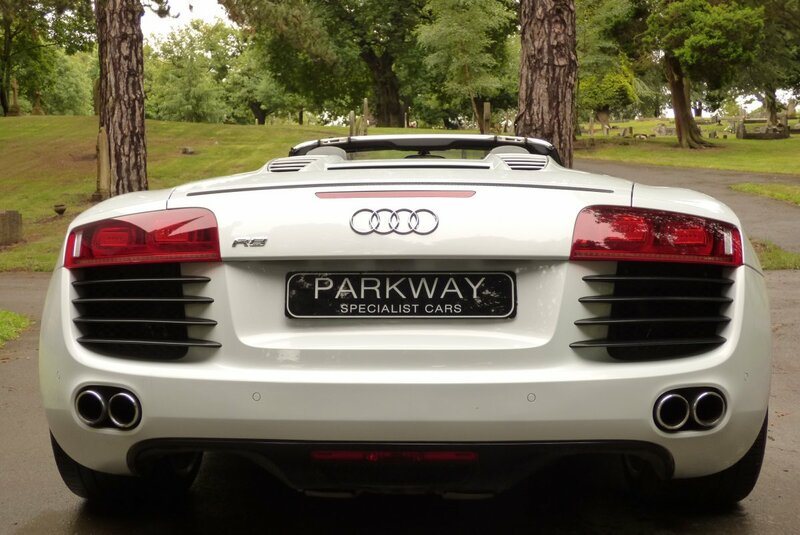 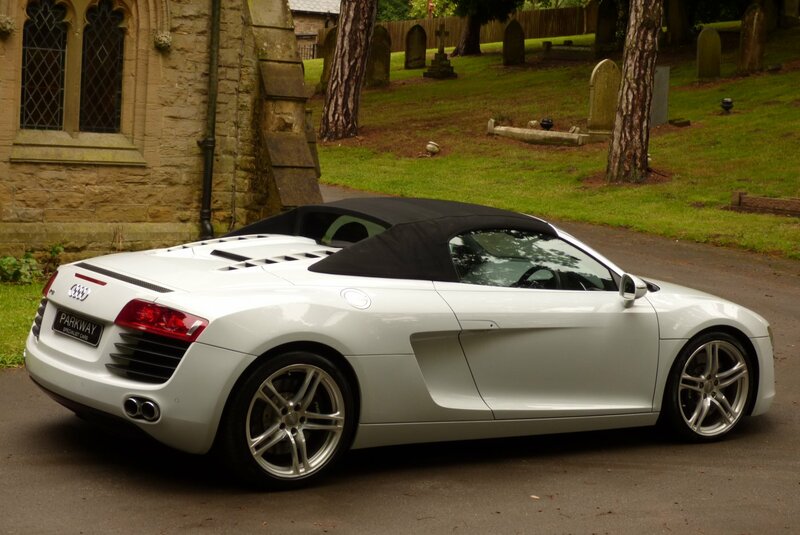 This Stunning Example With Excellent Factory Specification Was First Registered In The May Of 2011 By Slough Audi And Since This Point Has Had Just The Two Private Keepers From New, With The Last Acquiring This Special Car In The April Of 2014. 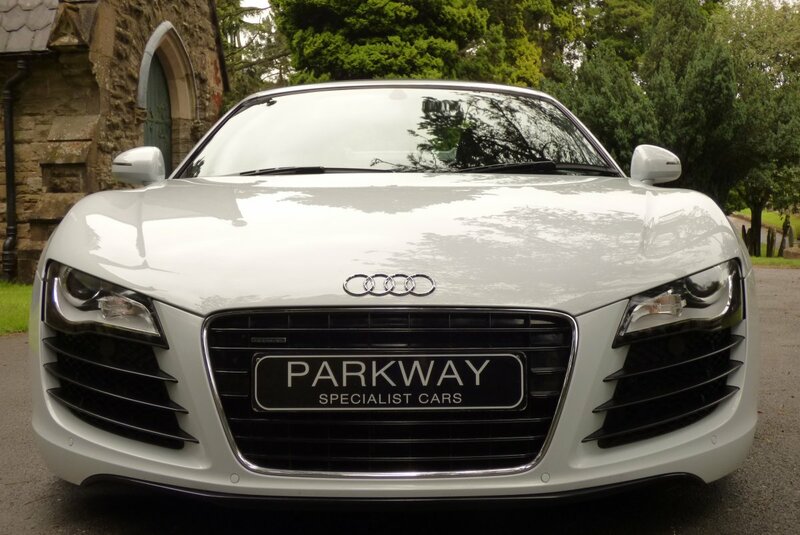 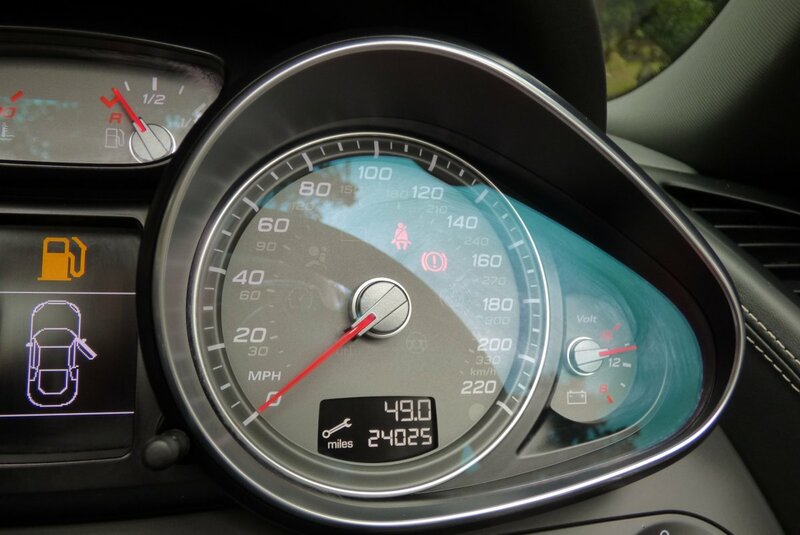 Since New The Car Has Been Maintained To A High Standard With Past Service Visits Logged At 6340, 8365 & 18284 Miles And Once Sold Will Be Fully Inspected By Our Knowledgeable Workshops Prior To The Next Lucky Keeper Taking Delivery. 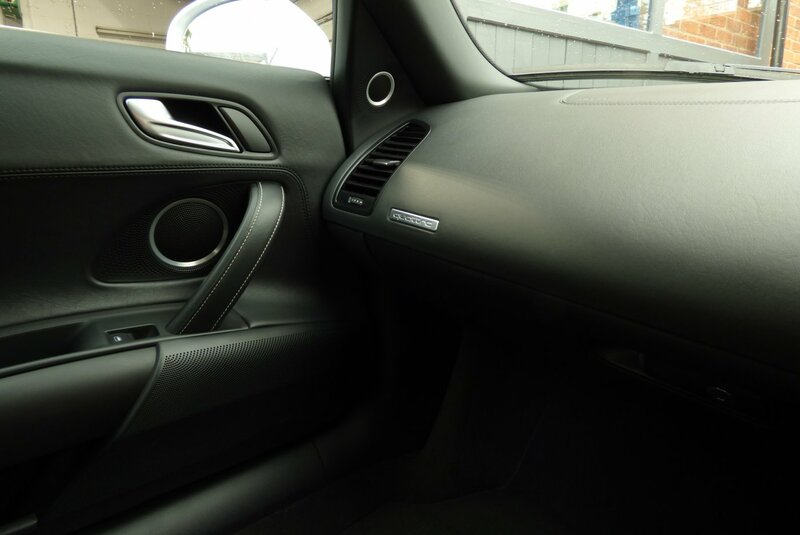 The Car Also Comes Complete With The Entire Booklet Pack Set, A Fully Cleared Hpi Certificate And A Complete Key Set. 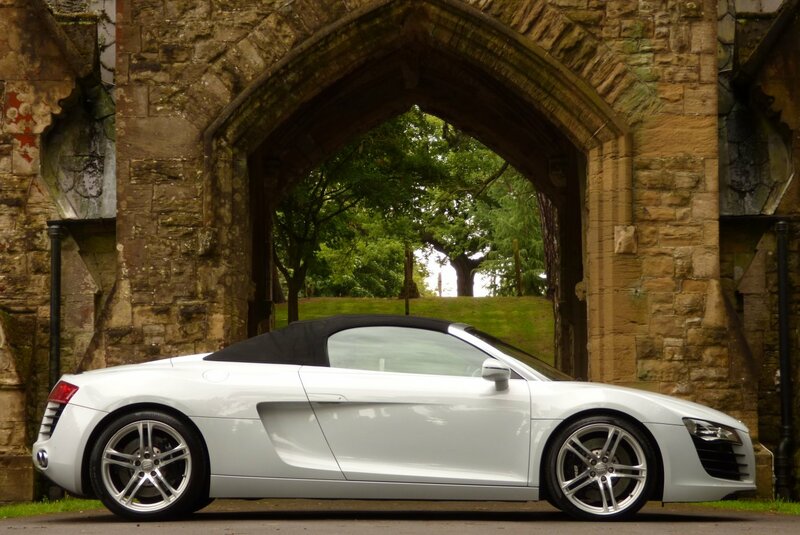 Perfect Specification, Excellent Low Mileage. 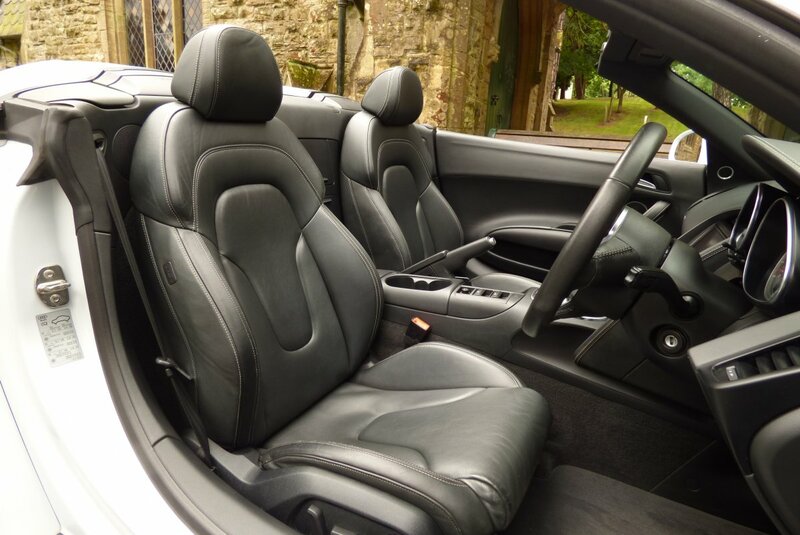 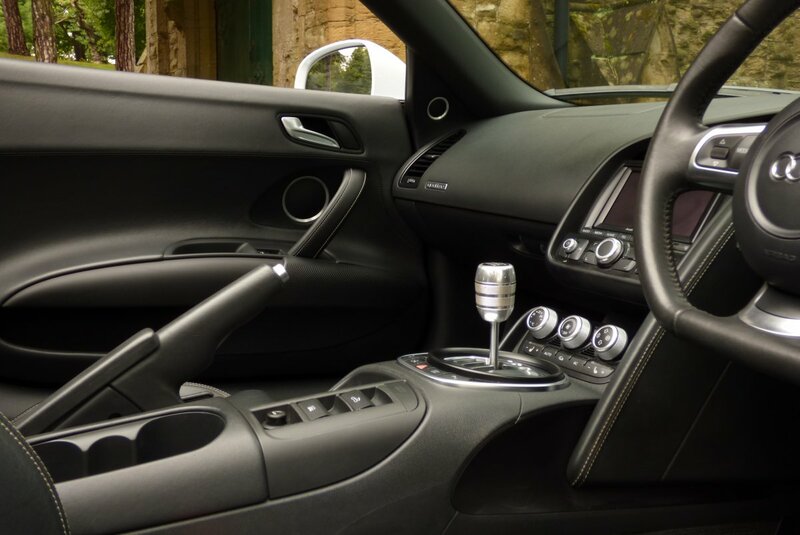 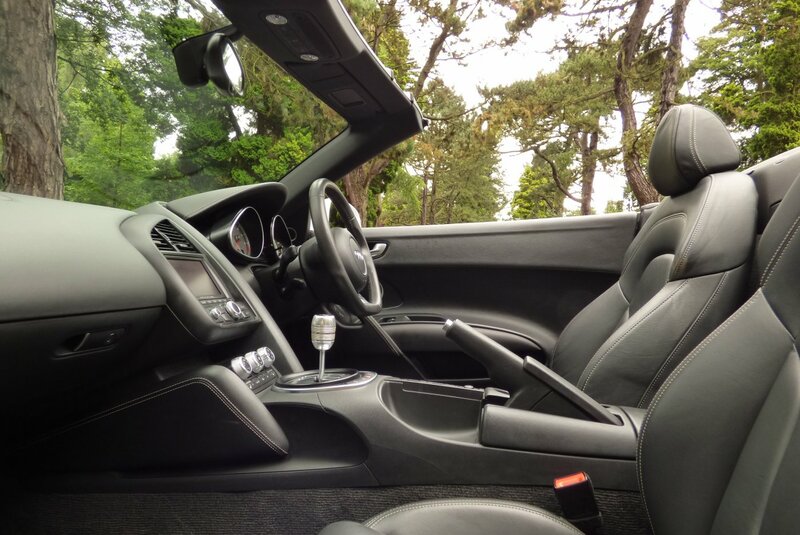 The Interior Is Stereo-typically German On The Build Quality Finish, But Of Course Still Offers An Environment Of Pure Excitement For Both The Driver And Passenger. 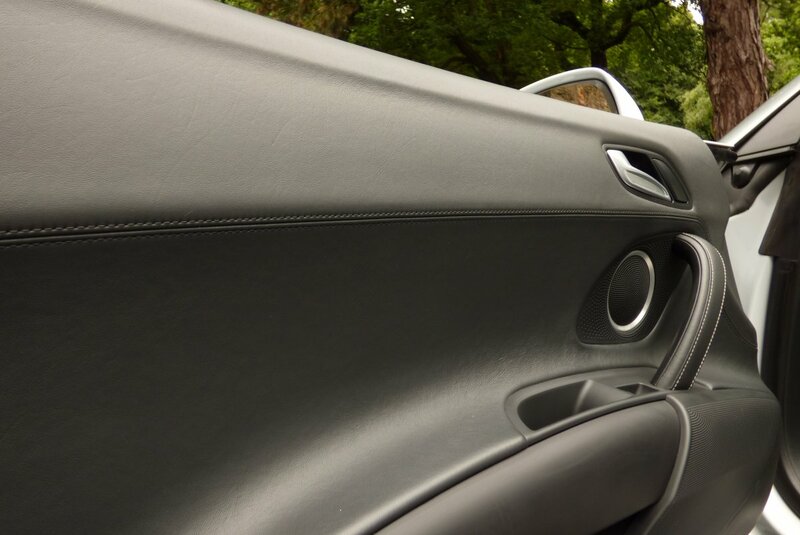 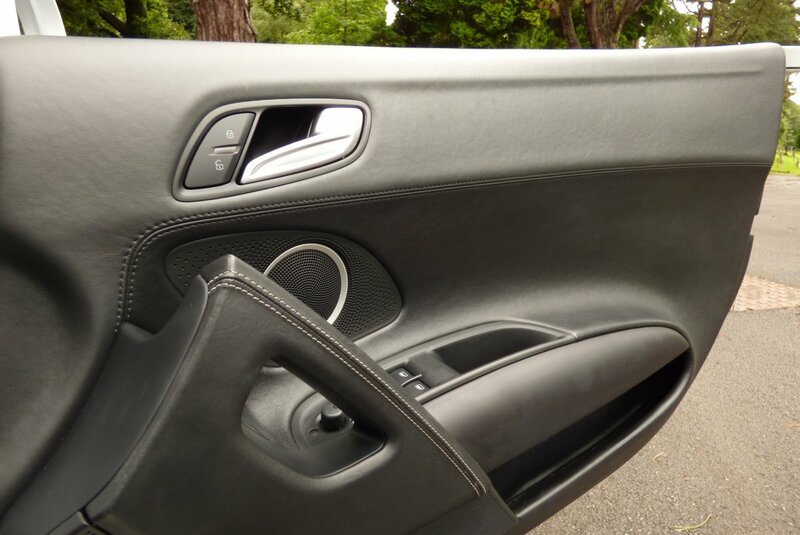 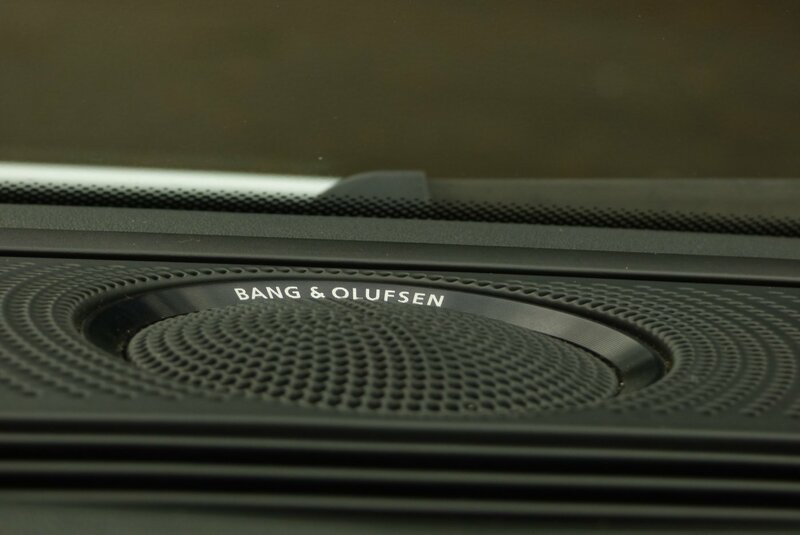 This Example From Factory Build Is Opted With The Black Nappa Leather Seating Delicately Detailed With White Twin Needle Stitchwork, The Black Leather Dash That Wraps Around The Dramatic Interior, Black Carpets, Black Fabric Roof Lining, Leather Trimmed Door Cards, The Aluminium Gear Shift And Beautifully Finished With Further Aluminium Internal Detailing. 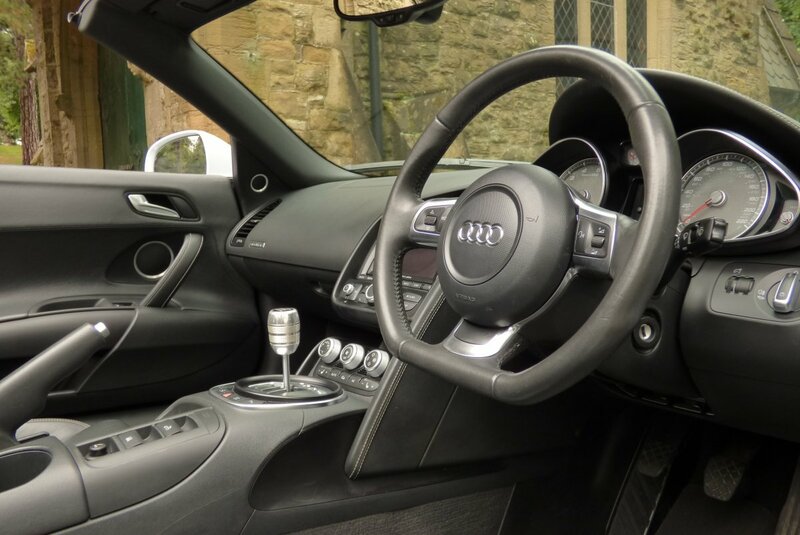 The Vehicle Is Also Packed With Excellent World Class Audi Technology, Meaning That Every Drive Is An Inviting And Enjoyable Experience. 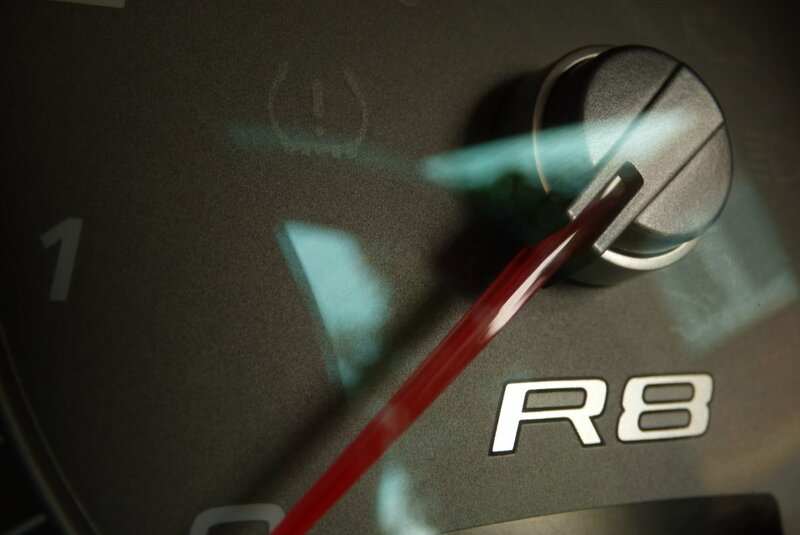 The Perfect Balance Of Pure Comfort And Sheer Excitement. The Body Is Presented In The Desirable Suzuka Grey Pearl, Which Perfectly Demonstrates The Aggressive Exterior Lines, Sublime Curves And Looks Beautiful With Or Without The Black Fabric Roof In Place. 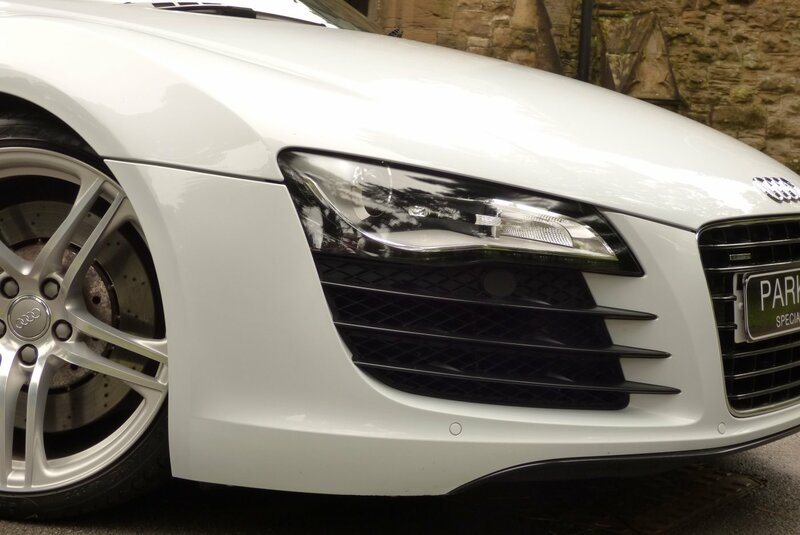 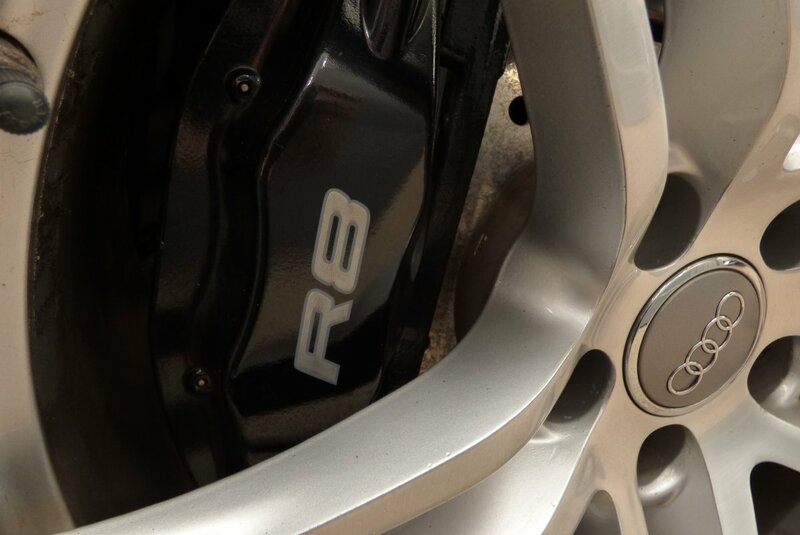 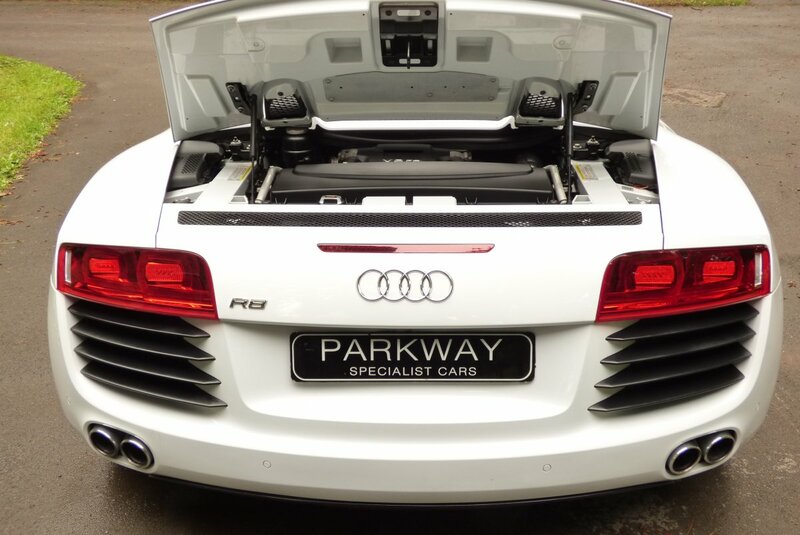 Further Exterior Detailing Is Presented With The 19" Five Double Spoke R8 Alloy Wheels Which All Sit On Branded Tyres, The R8 Embossed Black Brake Calipers, The Blackened Front And Rear Bumper Vents, The Chromed Quad Exhaust System, The Factory Electrically Adjustable Rear Spoiler, The Silver Finish To The Engine Vents And Decorated With The Chromed R8 Badges. 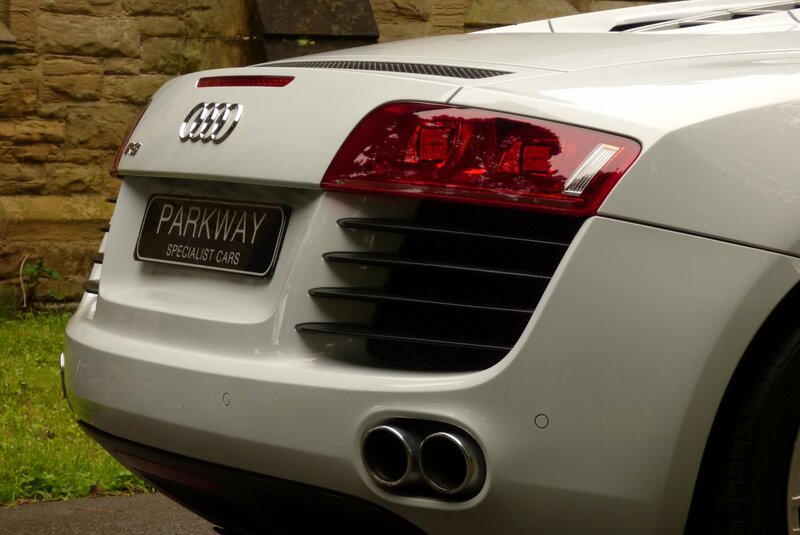 The Car Looks Stunning From Every Angle And Still After All This Time, Is Adored By Other Road Users. 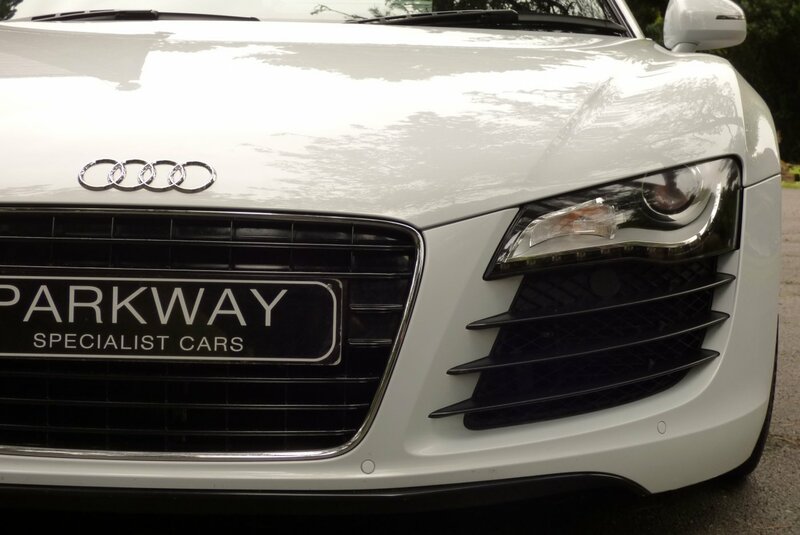 Perfect For That Trip To The City Or That Planned Weekend Adventure Away. 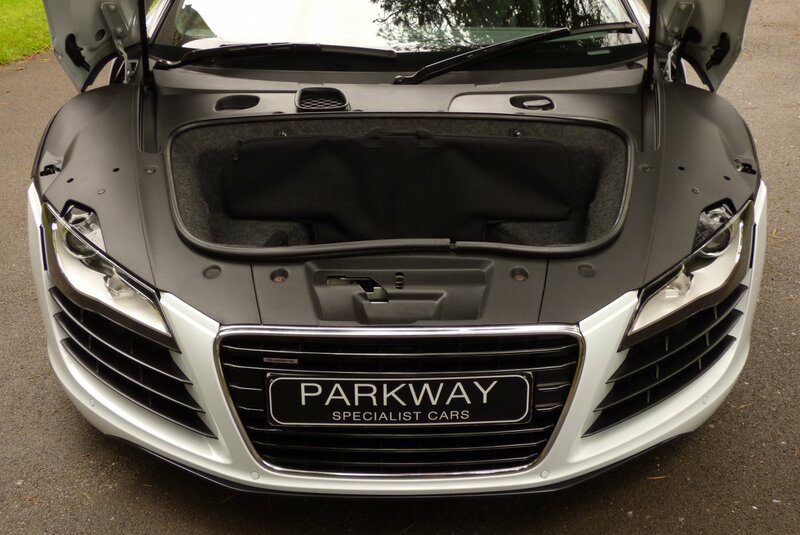 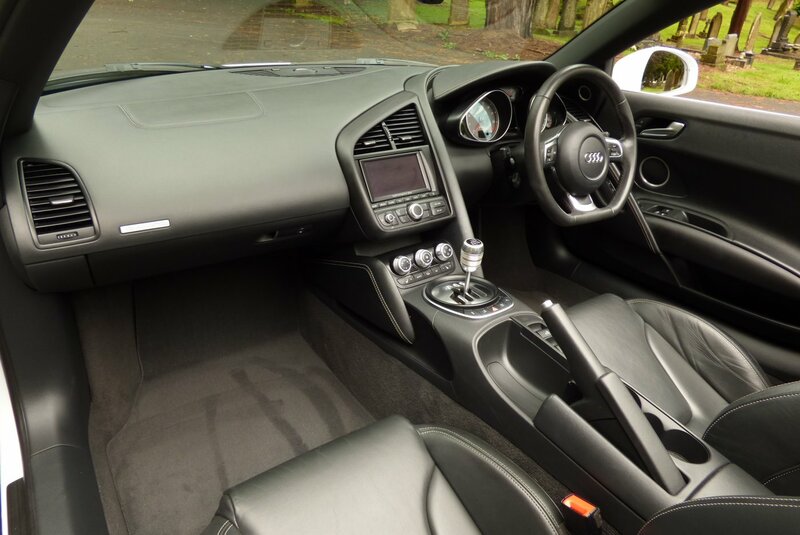 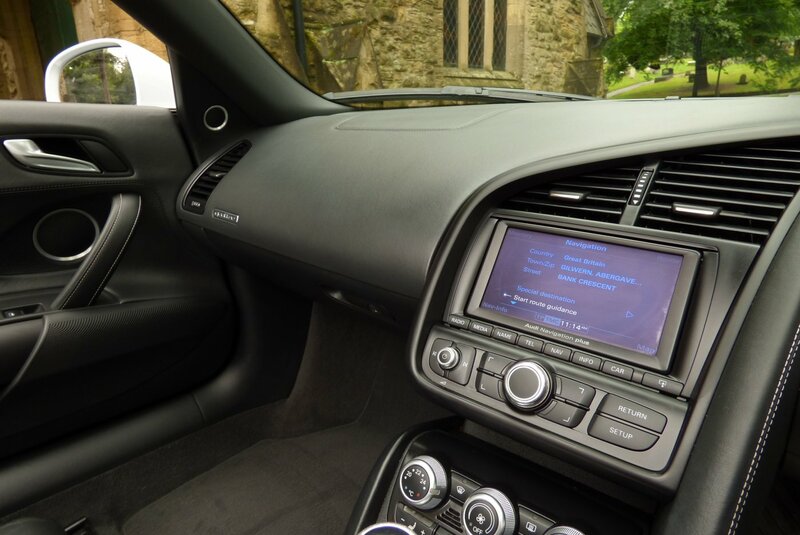 This Excellent Two Private Keeper Car Offers Fantastic Audi Specification To Include The Full Colour Information Screen With Satellite Navigation System Plus, 19" Five Double Spoke Alloy Wheels Which All Sit On Branded Tyres, Front And Rear Park Distance Control , Xenon Headlights With Auto Setting, The Black Leather Trimmed Flat Bottomed Multi Functional Steering Wheel, Cruise Control, Electric Front Seating With Lumbar Adjust, Audi Magnetic Ride, Variable Heated Front Seats, R8 Embossed Internal Sill Kick Plates, Electric Heated Mirrors, Bang & Olufsen Sound Package, Chromed Quad Exhaust System, Daytime Running Lights, Audi AMI System, Audi Voice Control, Rain & Light Packages, Auto Dim Rear View Mirror, Electric Rear Spoiler, Remote Central Locking With Alarm & Tracker System, Quattro Four Wheel Drive System, Black Fabric Electric Convertible Roof And So Much More. 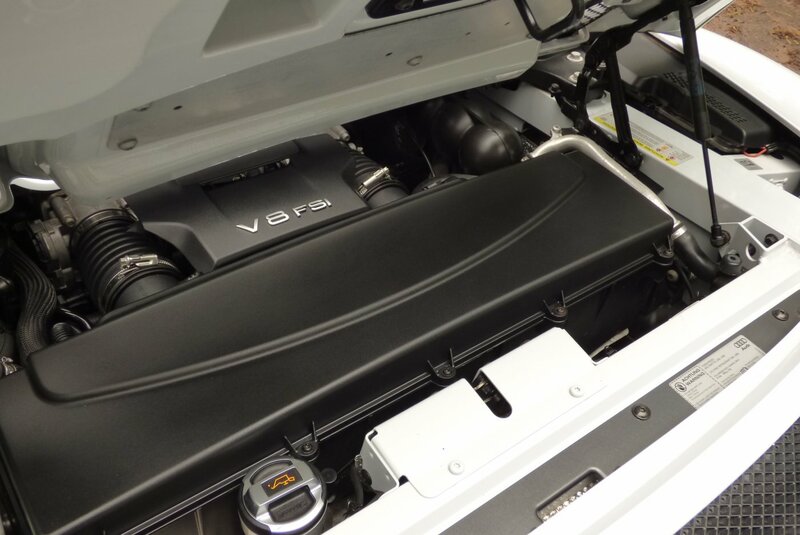 Presented With The Entire Booklet Pack Set, A Complete Key Set And A Fully Cleared Hpi Report. 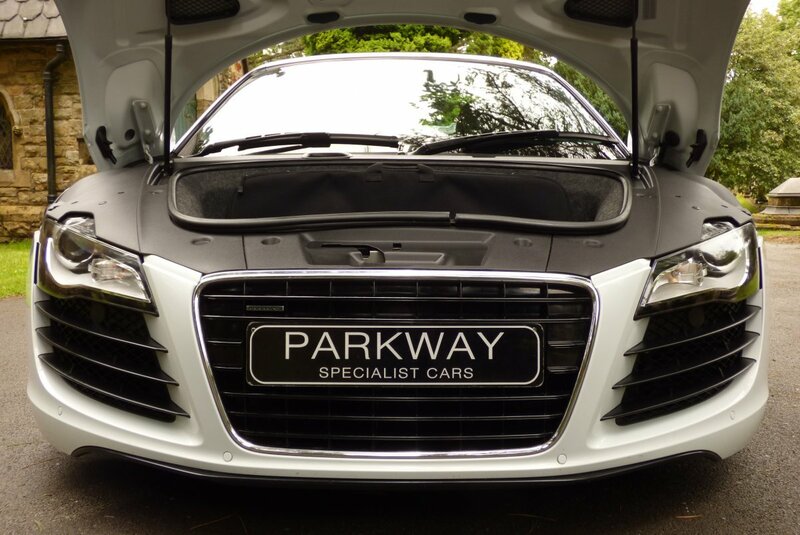 Excellent Funding Packages Are Available Upon Request.